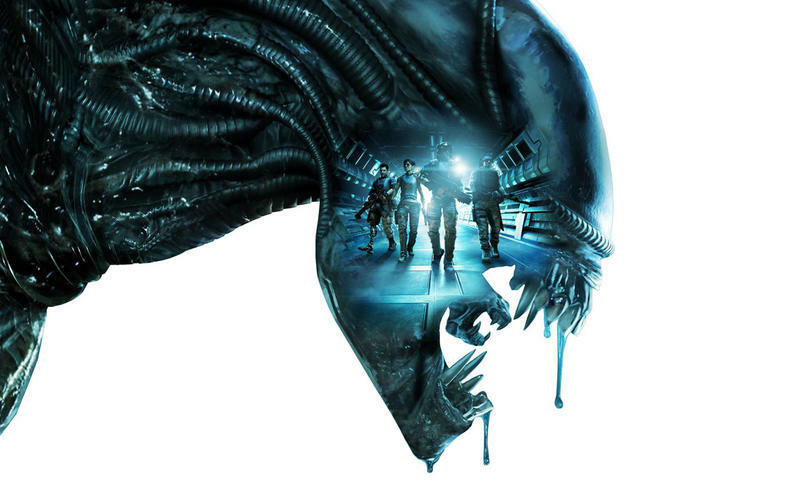 Everyone is so pumped for Alien: Isolation that they seem to have forgotten the legal battle over last year's critical failure, Aliens: Colonial Marines, is still going on. Borderlands developer Gearbox, who is one of the many companies pointing fingers over this fiasco, had its lawyers file four claims in a lawsuit pending against it and SEGA for falsely advertising the game. One motion is set to drop the class-action status of the lawsuit, and another aims to drop Gearbox's in its entirety. Its lawyers claim that because Gearbox was a contractor under SEGA, all marketing decisions fall at its doorstep instead. "Gearbox never belonged in this lawsuit. Gearbox is a video game software developer. It was neither the publisher nor seller of the video game at issue. For more than a year, Gearbox has quietly abided the plaintiffs' claims so that Sega, the game's publisher and the party responsible for the game's marketing and sale, could assume the defense of this lawsuit. Gearbox has honored its publisher's request in spite of plaintiffs' highly-publicized-and highly-misplaced-claims against Gearbox. At this point, however, Gearbox is obligated to pursue its rightful departure from this case." The lawsuit in question was filed by Roger Damion Perrine and John Locke in April 2013 with the pair claiming that SEGA and Gearbox falsely advertised the game with convention oriented demos at PAX and E3 that misrepresented the final product. Gearbox co-founder Randy Pitchford claimed that the demos featured "actual gameplay" found in the real game, but this turned out not to be true with the same alien AI, level design, and even graphical fidelity absent from the final project. "Each of the 'actual gameplay' demonstrations purported to show consumers exactly what they would be buying: a cutting edge video game with very specific features and qualities. Unfortunately for their fans, Defendants never told anyone — consumers, industry critics, reviewers, or reporters — that their 'actual gameplay' demonstration advertising campaign bore little resemblance to the retail product that would eventually be sold to a large community of unwitting purchasers." The suit also claims that money handed from SEGA to Gearbox was used incorrectly and spent on Gearbox's own original properties instead, resulting in a cheaper Aliens: Colonial Marines. Gearbox's recent filings and Vice President of Marketing Steve Gibson dispute this, saying that it used SEGA's money properly as well as millions of its own dollars. "During the development process, Gearbox supplemented Sega's development budget with its own money to help Sega finish its game; Gearbox's contributions to A:CM totaled millions, none of which was ever repaid." The claim also denies the accusations that Gearbox made the demos using a special engine for the demos, saying the Unreal Engine 3 was the only graphics engine that was ever employed. "To develop the software, Gearbox utilized the Unreal 'game engine' licensed from Epic Games; this was the only game engine Gearbox used in the design and development of the game. Contrary to what some believe, the pre-release demonstrations were not made using different game engines." What is not mentioned, though, is why the demos were different from the final product. Gearbox concludes in defending itself of responsibility by saying they never received bonuses from SEGA because the game's sales were insufficient. "The game's sales were insufficient to trigger any sales-based payments to Gearbox and, as a result, Gearbox has not received any additional monies from Sega for the sale of the game. Gearbox only received the milestone payments made by Sega during the game's development." In other words, this is just one big stupid mess that should never have happened in the first place. Dishonesty is still bleeding from tightly kept secrets from within both companies, and it's going to take some time for this to clear up. SEGA said it settled the case on June 26th which would have dropped Gearbox from the lawsuit and paid off the plaintiffs, however with plaintiff Damion Perrine incarcerated in Pennsylvania he could not be found to sign off on the deal. If both the class action and Perrine are dropped, only Locke will benefit from the settlement. Publishers, developers: we don't want this, and if you want us to trust you in this big, booming, corporate world of gaming, then we have to feel like we are on an even footing getting proper information. Don't underestimate gamers' power to uncover behind the scenes issues and graphical downgrades from your advertisements and convention demos. They will find out this information and keep you in check, possibly resulting in more tomfoolery like this. And I hope for SEGA's sake that Alien: Isolation is as good as they promise.